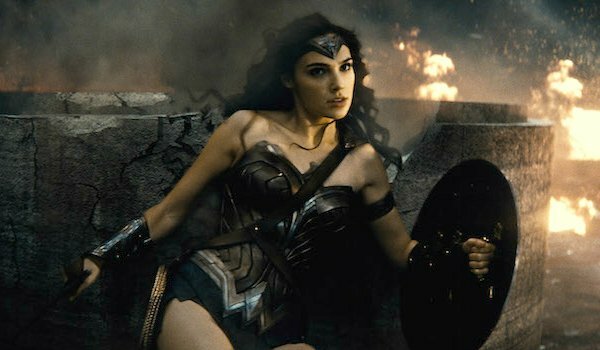 Is Batman V Superman: Dawn Of Justice Too Long? The late, great Roger Ebert once brilliantly surmised, "No good movie is too long, and no bad movie is short enough." The point being, the length or duration of a particular feature usually is in the eye of the beholder (or, the audience member). Clocking in at a whopping 151 minutes, Zack Snyder’s Batman v Superman: Dawn of Justice is roughly 30 minutes longer than your standard blockbuster, and yet, the argument about whether the movie was "too long" or "not long enough" raged on social media all weekend long. The following conversation will dive into spoiler territory for Batman v Superman: Dawn of Justice. You have been warned! Personally, I never felt the length on Snyder’s Dawn of Justice. Even though I suspected that we’d get into the death of Superman (Henry Cavill), for that’s what happens when you introduce Doomsday as a threat, I was engaged with the story of Batman v Superman, and really enjoyed the world building that Snyder and his team were doing for Justice League and the solo movies planned for Wonder Woman, Aquaman, The Flash and Cyborg. On a second viewing, however, I had to acknowledge that the Doomsday conflict added another 25 minutes that the movie didn’t necessarily need. While it’s true that this conflict gave Wonder Woman (Gal Gadot) a larger platform, and eventually led to Superman’s (controversial) sacrifice, the movie set up a natural conclusion when Batman (Ben Affleck) helped rescue Martha Kent (Diane Lane) from the clutches of Lex Luthor’s men. If the focus of this movie had been on Batman v Superman -- not necessarily on all of the Dawn of Justice moments that clogged up the last half hour – then the film could have landed after that resolution, and maybe not tested the patience of the audience who found the length unbearable. Naturally, Twitter became the place for people to weigh in on the film’s run time. It’s rarely good when people nap during your movie. Batman v. Superman: Dawn of Justice was 151 minutes too long. Dude, the movie, itself was only 151 minutes! Oh, wait. I see what you did there. Yes, if you didn't like Batman v Superman, the movie might have felt like an eternity. That Ebert quote really sums it up nicely. Still, Batman v Superman earned a boat load of cash at the box office over its opening weekend, and DC fans – as well as people who were digging what Zack Snyder was attempting, could have sat through another hour. In fact they’ll get that opportunity when the longer R-rated cut hits DVD in time. But you tell us. Was Batman v Superman: Dawn of Justice too long? Just right? Vote in the poll, then weigh in below. Was Batman V Superman Too Long? I started to feel the length, yes. Nope. I could have done another hour.